Our goal is to supply our customers with a top quality onion program all year round. The Netherlands is the biggest exporting country in the world, which means that Dutch onions feature prominently in our range to be exported to many other European countries. Van der Lans International is also a member of the Holland Onion Association. This non-profit interest group focusses primarily on the promotion and export quality of the Holland Onion and was established also on our initiative. In the period from March to July we import onions from Australia, New Zealand, Chile, Argentina, Egypt and South Africa. Primarily to suit supply programs to European retail organizations. Although the product is virtually the same, there are substantial differences in the cultivation methods and packaging facilities on the various continents. Long years of intensive cooperation with our producers have enabled us to achieve the best possible quality and transport method. From New Zealand, for example, we ship hand-clipped onions in Reefercontainers, where temperature, humidity and ventilation are optimally controlled. Chain traceability from grower to final destination is guaranteed as a matter of course. Upon request our customers can also obtain the full cultivation registration. Onions are a much loved food crop all over the world. No kitchen can really do without them in fact. We traditionally use the yellow onion most often in European kitchens, although the red onion is increasingly being selected nowadays for its more pungent taste and decorative appearance. The import and export of onions has been an important core activity at Van der Lans ever since the company was established in 1991. 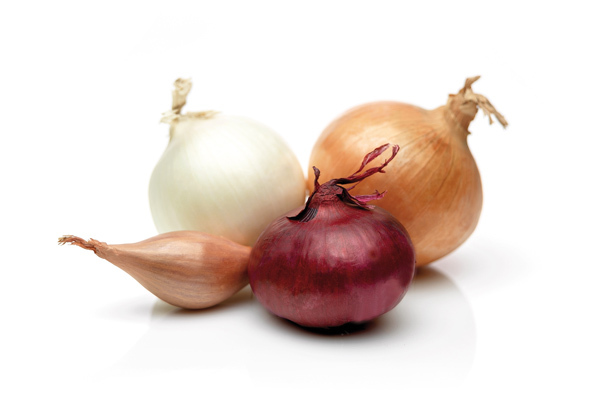 We offer a wide range of yellow, red and white onions and shallots from various origins throughout the year.